In October 1991, the Michigan Hemingway Society convened in Petoskey, Michigan, to pay tribute to the famous writer. 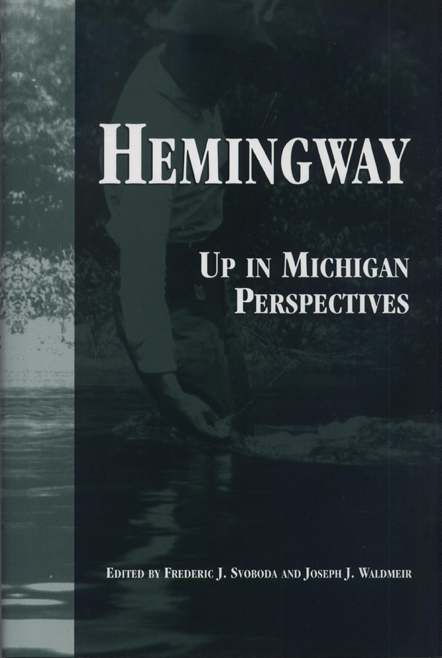 Hemingway:Up in Michigan Perspectives is a selection of the insightful scholarship and research presented at the conference. The collection begins with essays that examine the Michigan of Hemingway's youth, and its so-called "savage" and "civilized" aspects as portrayed in the Nick Adams stories. Next, a lively dialog about what happened as Hemingway moved away from Michigan—in his life and his work—takes place between Michael Reynolds and Linda Wagner-Martin as they discuss the unfinished, unpublished novel "Jimmy Breen." The collection also includes discussions of Hemingway and the wider world, bringing new perspectives to his novels The Sun Also Rises; A Farewell to Arms; For Whom the Bell Tolls; Across the River and Into the Trees; and his short stories The Short Happy Life of Francis McComber, and Today is Friday. Frederic Svoboda is senior advisor to UM-Flint Chancellor Juan E. Mestas for the 2005-2006 academic year. A distinguished Hemingway scholar, Svoboda has been professor of English at UM-Flint since 1997. Joseph J. Waldmeir is professor emeritus of English at Michigan State University.